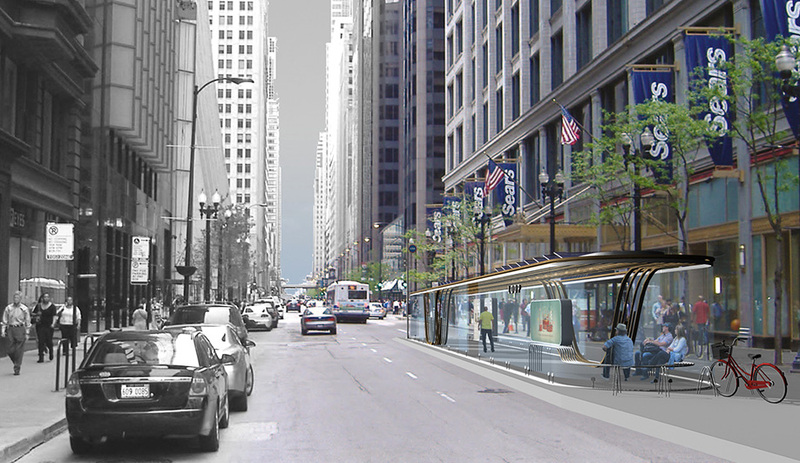 An award-winning proposal calls for BRT stations in downtown Chicago that are highly transparent for safety reasons, while reflecting the city’s dynamic street life and renowned modernist architecture. 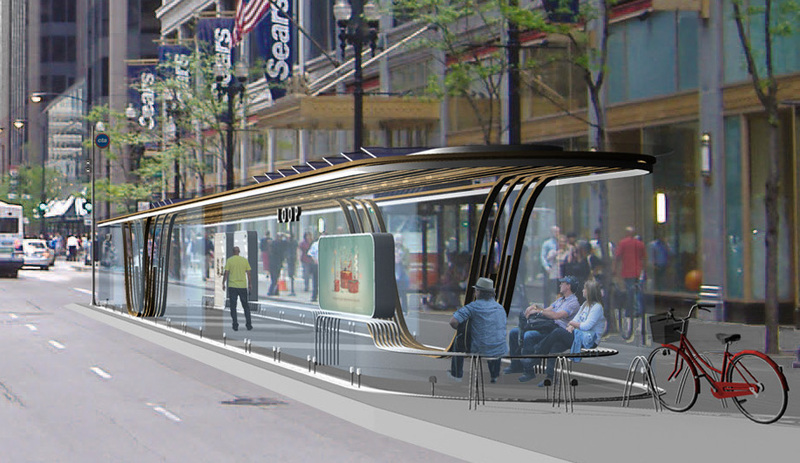 A husband-wife duo – both recent architecture graduates from Montreal’s McGill University – Hesam Rostami and Bahareh Atash won the top prize in the Next Stop: Designing Chicago BRT Stations competition. 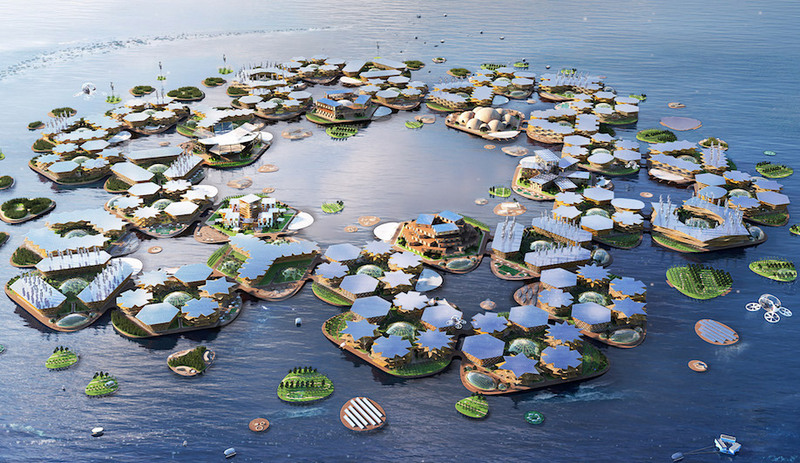 Sponsored by the Chicago Architecture Foundation in collaboration with the Chicago Architecture Club, the competition received 42 submissions from 14 countries. Their vision, Form vs. 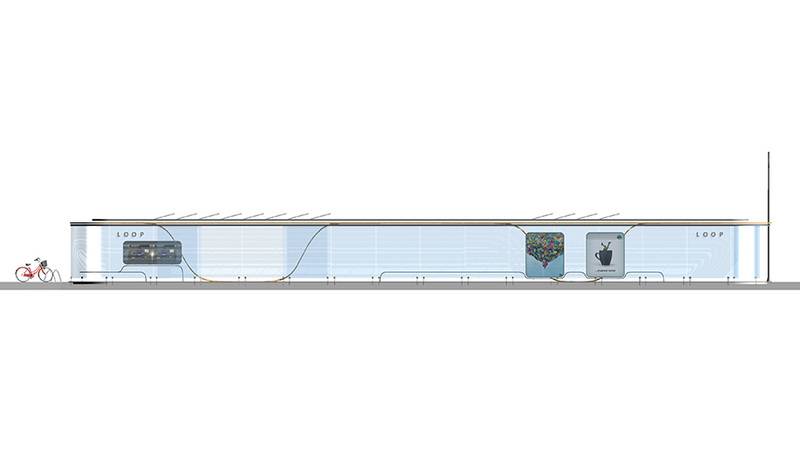 Uniform, provides an all-season glass station that measures approximately 30 metres long. Its elegantly curved glass edges are intended to reflect Chicago’s modernist era architecture. 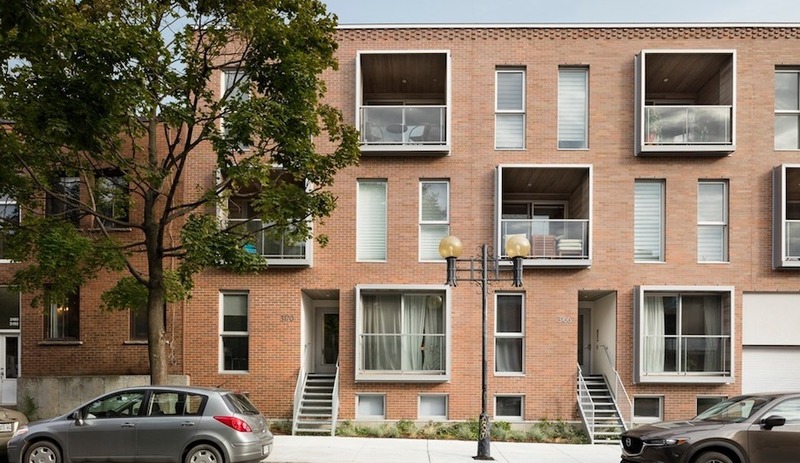 Designed for various neighbourhoods, the stations are identical, with the exception of a series of ribbons made of cross-laminated timber that run along the roof in a different manner for each one. Like a rollercoaster track, the strips circle the entire structure and dip downward to street level to define the entrance before rising back up to the roof. 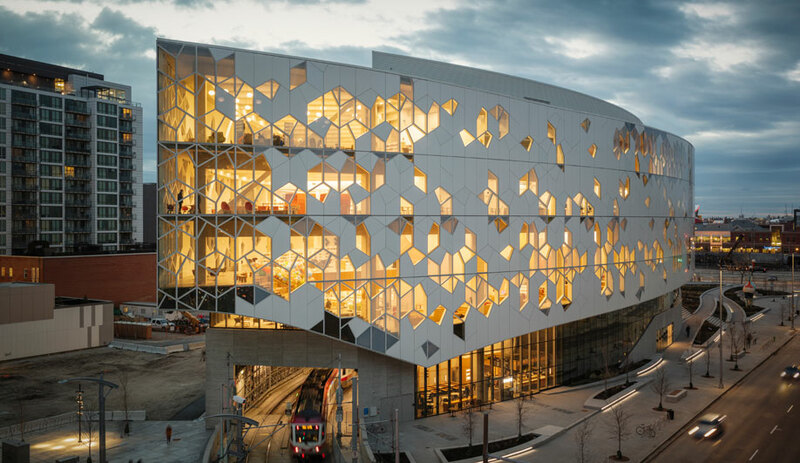 “The city’s history is so apparent from the street,” says Rostami, “so we really wanted to pick up details like the curving glass that’s characteristic of modernist architecture.” Rostami and Atash, who are now living in Toronto, decided to enter the competition while starting their careers in Canada. The couple moved from Iran two years ago. One feature of their proposed station was based on a public survey that revealed many transit users would like to see the stations vary in design to reflect each distinctive neighbourhood. But the Rostami and Atash also picked up on another consideration: people with limited abilities, including blind transit users, find it easier to navigate public spaces when things are more uniform and predictable. Form vs. Uniform manages to combine both concerns. The wooden rooftop strips are intended to vary from one shelter to the next, but the overall structure would remain consistent. 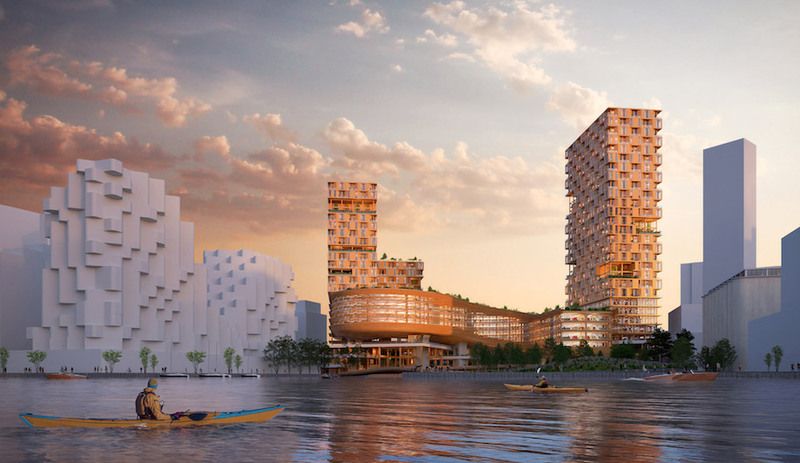 The wood strips would also be functional by filtering direct sunlight and, depending on which street corner they are situated on, they could vary in width and orientation to take advantage of localized passive temperature control. 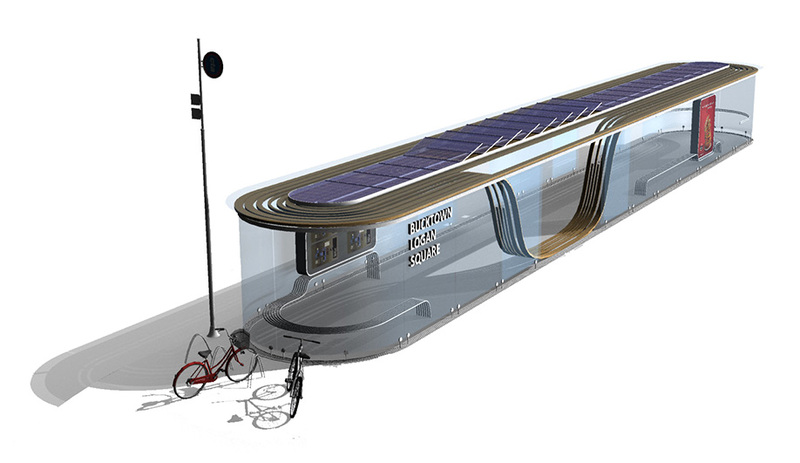 Each station also includes a bike rack, solar panels and ticket machines. While the competition was designed primarily to engage the public in a discussion about bus rapid transit, Rostami and Atash are keen to stay involved if the project goes further.